It has been both a tedious and fraught three years since UK voters narrowly opted to leave the EU. Now the only semblance of good news is that some kind of termination is in sight. But the continual bad news is the United Kingdom's politics are badly broken and a no-deal Brexit crash-out appears increasingly likely. Prime Minister Theresa May is contemplating a third attempt at getting her unloved Withdrawal Agreement through the Westminster parliament after two epically crushing defeats. At the same time, Mrs May's Conservative Party colleagues are contemplating showing their unloved leader the door. We face a very uncertain future and it is past time for the Irish authorities to prepare the nation for very tough times. We may be at a turning point in this Brexit saga. Things just might take a turn for the better, opening up a path to a softer Brexit, or even Brexit being delayed for a long time, if not reversed. But it is not realistic to plan Ireland's future based on the notorious and naive optimism of a Wilkins Micawber in Dickens's 'David Copperfield'. Up to now, there has been more than an air of "fully expecting something to turn up" in Ireland's Brexit preparations. We must face the reality that the something which turns up could be very grim. Talk by our Government leaders about preparing for the worst, while hoping for the best, will not help us any longer. Granted, there are many things beyond our control in all of this. But we have to be sure we have dealt with everything which remains within our powers. 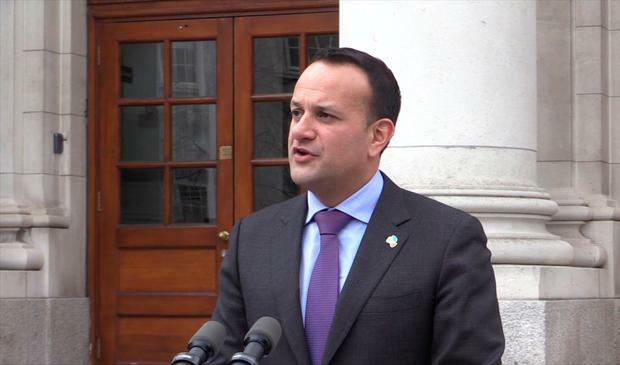 Taoiseach Leo Varadkar told his party members and the nation on Saturday that Brexit will not define us as a nation. Alas, while we would dearly love to endorse that sentiment, we cannot. In fact, the exact opposite is true: Brexit will define us a people. It will define our future relationship with our closest neighbour and strongest and oldest friends in the United Kingdom. It will also define our future relations with a very changed European Union, which we were effectively towed by the UK into membership of back in January 1973. There are many facets to this one. We need to seriously contemplate our membership of a European Union facing into a post-Brexit world. We must acknowledge we have often hidden behind the UK on key issues like EU taxation and social policy when there were things we did not care to stridently oppose. We need a new series of alliances with like-minded member states but we also need to maintain the flexibility to make a series of honest alliances on a topic-by-topic basis. However, our more immediate demand will be to deal with the real risk of the UK parting company with the European Union in the coming fortnight without a settled deal. All citizens badly need leadership on this. We need to feel the Irish Government is taking charge of a very fraught situation. Now the mettle of the Taoiseach and his ministers will be seriously tested.